Home News What was the Chelsea Independent? The Chelsea Independent can trace it’s roots back nearly 30 years. That was a time when personal computers were the size of a small car, mobile phones were heavier than a rucksack full of bricks, and email was a strange, fictional concept written in an Arthur C Clarke novel. 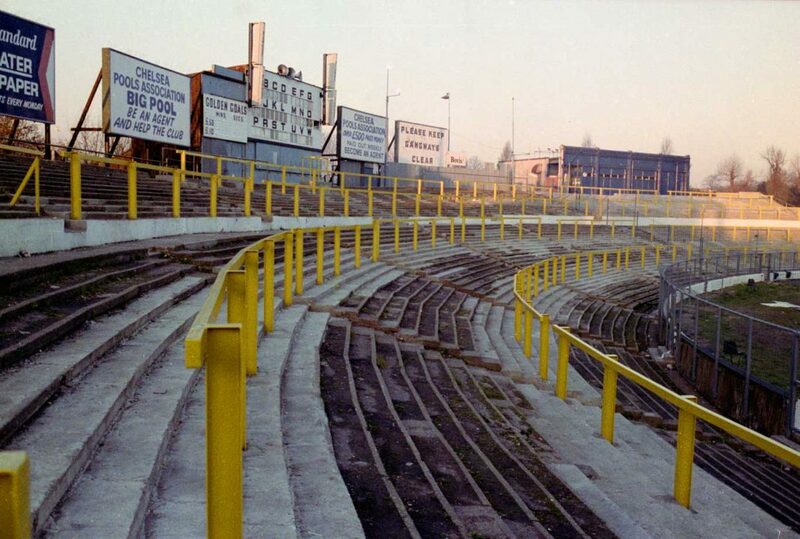 It was also a time when Chelsea were s**t. But, standing in the Shed eating our condemned meat pies and supping watered down Bovril, we still loved ‘em. Especially wee Pat Nevin and Kerry ‘on the head, son’ Dixon. In early 1987, Chelsea was not in a good state. A demonstration in front of Hammersmith Town Hall was called in March of that year to protest against the proposed merger of Chelsea FC with QPR and Fulham – Fulham Park Rangers as it was distastefully referred to. A property magnate, Bulstrode, owned all three grounds and his property company Mahler Estates/Cabra was eyeing the heady prospect of developing prime real estate at Stamford Bridge and shipping the Blues off to QPR’s ground. It was a very real and ugly prospect. At the demo, Fulham fans were represented by an established independent supporters club whilst QPR were similar to Chelsea in that they had no ‘independent’ representation. Yes, QPR and Chelsea did have supporters clubs but they were official supporters clubs that merely spewed out the same optimistic propaganda from official ‘channels’. A group of twelve Chelsea fans took it upon themselves to therefore set up an independent supporters club, the Chelsea Independent Supporters Association (CISA), in April 1987. The official mouthpiece of CISA, the Chelsea Independent fanzine, spawned well over 100 issues and became the Bridge’s best-loved football fanzine. Spanning thirteen years, the fanzine was sold in all weather outside the Lost Theatre (now a shopping mall and church) on the Fulham Road. The original Dirty Dozen fans remain mythical figures but the names Nick Brown, Mike Titcher, Peter Collins and Paul Roberts all spring to mind – Peter and Paul later graduated to write for the Club’s official magazine, Bridge News. Issue One of the Chelsea Independent was produced thanks to registered members and 500 copies were produced. The first ever issue became legendary for the simple reason it was never sold at a football match. It was due out for the last game of the season but never made it – a production ‘gremlin’ that plagued the Independent right up to its final issue! Instead, the fanzine was sold at pubs, clubs and other outlets.